If you’ve ever purchased eye creams or serums, stop now! Making your own eye serum is SO easy, doesn’t require a lot of ingredients, and most times works better than any store bought product. Because store bought eye creams and serums contain so many unnecessary ingredients that can sometimes cause dryness and irritation, making your own homemade eye serum is extremely beneficial. Today we’ll show you how to make this amazing homemade eye serum for wrinkles & fine lines. This eye serum works so extremely well because it contains powerful oils that get deep into the skin to fill in fine lines, regenerate skin cells, and rejuvenate old, tired skin. In a small bowl, mix all oils together. Transfer to a small glass container or bottle dropper. Apply around the eyes every night before bed and leave on overnight. 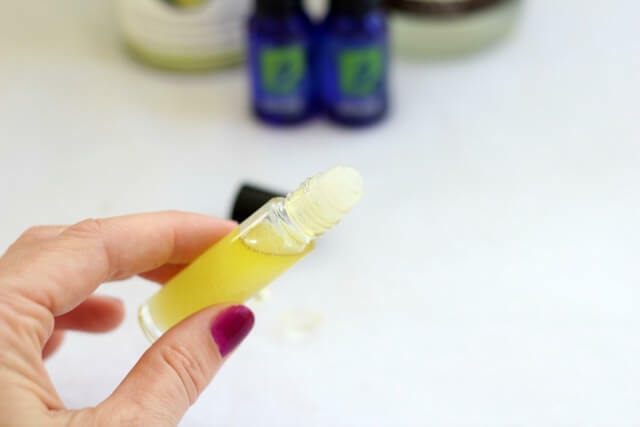 This homemade eye serum works so well because of its simple, yet very effective ingredients.Vitamin E is one of the best ingredients used for anti-aging, while coconut oil is deeply hydrating. Camphor oil is often used for advanced wrinkles and is also a natural antiseptic. Use the eye serum every single night and you should notice a big difference within about two weeks. The oils will penetrate deep into the skin hydrating, filling in lines, and smoothing out rough, bumpy skin.